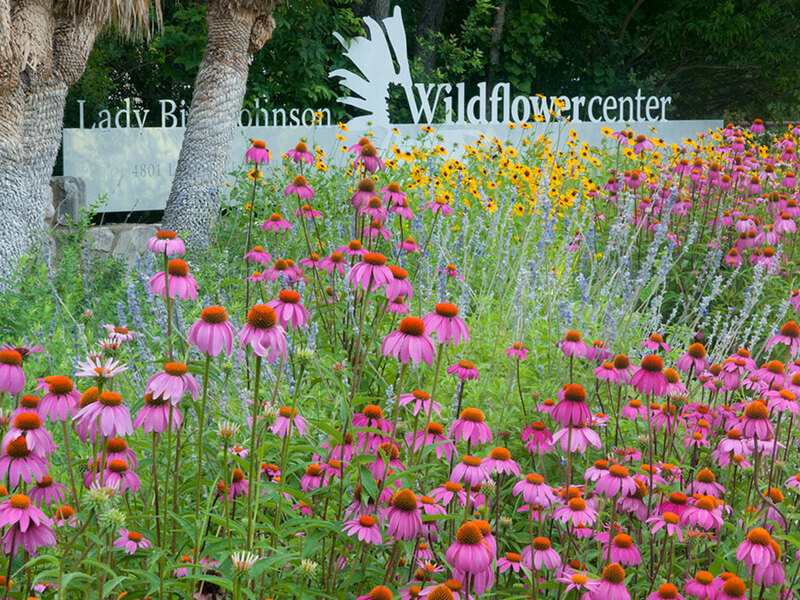 Tip sheets highlight timely offerings from the Lady Bird Johnson Wildflower Center at The University of Texas at Austin. 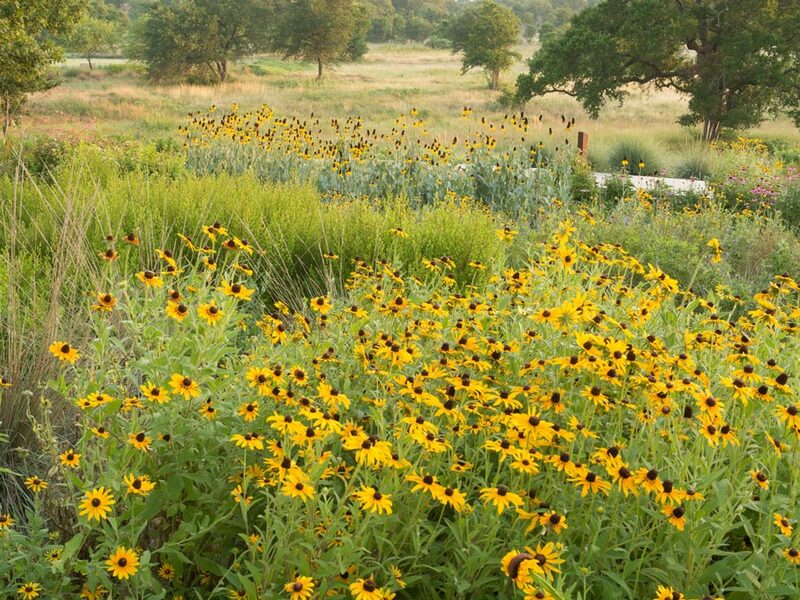 With the City of Austin started accepting applications July 1 for rebates for converting landscapes to beds of native plants or to permeable hardscape, the Lady Bird Johnson Wildflower Center provides a number of resources for area residents to consider visiting or reviewing regarding environmentally friendly landscaping approaches. 1. Plant Selection lists: The Wildflower Center provides a list of native plants that are recommended for Central Texas in our searchable, online, plant resource collection. Similar lists are available in the Center’s Native Plant Information Network, regarding Central Texas plants that attract hummingbirds, that work in flower arrangements, in wooded or dry areas and more. Users can also search for the best native plants based on light requirements, soil needs and bloom color and time. 2. Native Plant Suppliers: The Wildflower Center’s National Suppliers Directory, which is searchable by region, includes dozens of local businesses that provide seeds of native plants and/or the plants themselves. 3. Garden Inspirations: For gardening ideas, area residents can visit the Demonstration Gardens that the Wildflower Center helped design at the city park called Southwest Greenway in Mueller Austin. And Center visitors can view our Homeowners Inspiration Gardens, which demonstrate the use of native plants in formal and informal landscapes. The 12 acres of maintained gardens and meadows at the Lady Bird Johnson Wildflower Garden also include 600 different species of native plants.